Happy Friday morning to you all! This week has been so busy, yet so uneventful at the same time. Does anyone know what I'm talking about? I just feel like I have had so much going on in the day while working at home, but I haven't actually had any "events" that I had to go to. It has flown by! 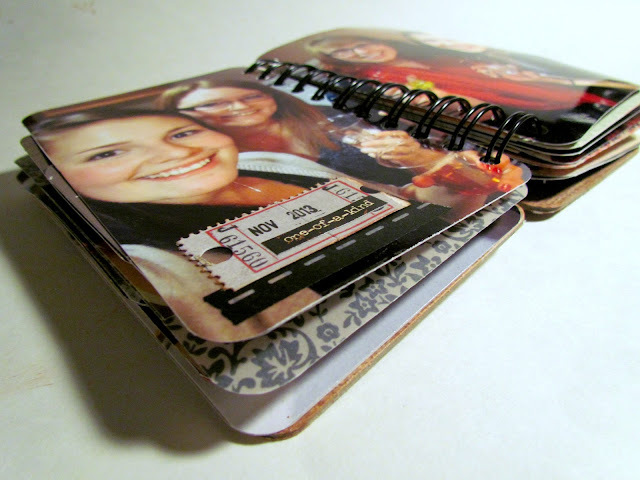 Today I am sharing this tiny album that I created for my friend who has moved to Australia. I made this mid December so that I could give it to her before she left. There will be a video flip-through at the end of this post where I also share a couple tips for speeding up the process of making this simple mini. I kept the cover (and the rest of the album) very simple. Here I used an Australia piece from an older Kaisercraft cut-apart sheet. The album is sized 4x6, so to include larger photos, I printed them at a maximum width of 8", cut them in half, and attached them right into the binding. This works best when someone's face (or an important object) is not right in the middle of the photograph. I kept the embellishments to a minimum and used my date stamp A LOT! 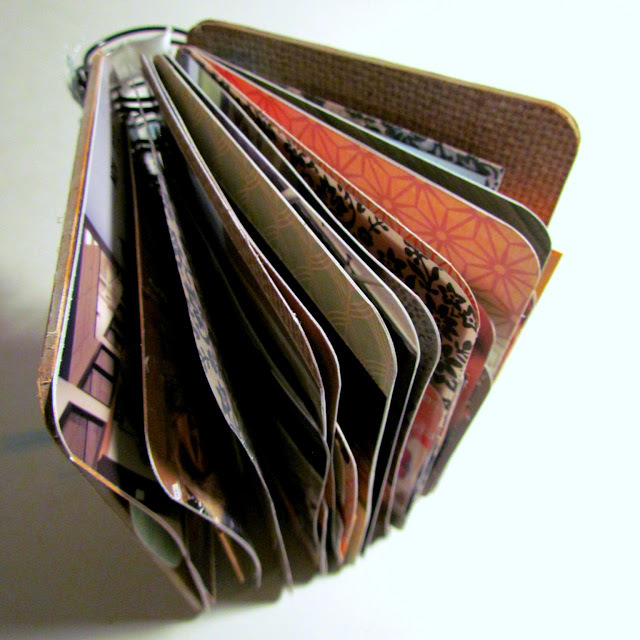 I created this folded pocket page (which is easier to understand in the video) and made these two inserts to add interest and more photo real estate. Interesting story idea: I included some pictures from my wedding day that my friend was not able to be at. The story is about how I missed her, but felt that she was there in spirit. I related it to how I feel now with her about as many miles away from us as she could possibly get, yet I still feel that she will always be a close friend. Because I was feeling sentimental, I added the words "enjoy the journey, this is only the beginning" because I know that she has so many more adventures to come and she won't be away forever. Thank you for stopping by today! Please also check out the video below and I hope you have a great weekend!